In this paper we present a constraint satisfaction approach to the pragmatic control of the language generation process in dialogue systems. 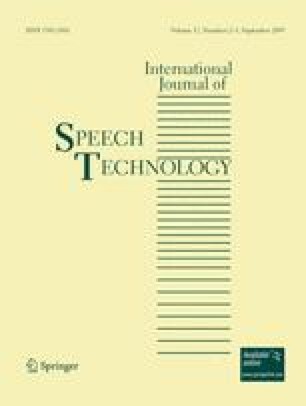 After a brief problem statement providing motivational background for a constraint satisfaction approach to context sensitive language generation, a theoretical framework designed and implemented in part by the authors (in the context of several research and development projects) will be argued for in concise manner. Particularly, the way in which constraints influence the generation of context-sensitive, relevant utterances in simultaneous interaction with several human speakers will be considered in detail, providing a computational framework for handling “pragmatic” aspects, such as the degree of illocutionary force, semantic ellipsis, or lexical selection of concessive connectors. Then, limiting cases of our approach will be pointed out, showing in what measure by acting on the constraints we can enlarge these limits. Popescu, V. (2008). Formalisation des contraintes pragmatiques pour la génération des énoncés en dialogue homme-machine multi-locuteurs. PhD thesis, Grenoble Institute of Technology. Available from: http://tel.archives-ouvertes.fr/tel-00343846/en/. Popescu, V., & Caelen, J. (2008a). A rhetorical structuring model for natural language generation in human-computer multi-party dialogue (Tech. rep.). Laboratoire d’Informatique de Grenoble. Available from: http://hal.inria.fr/hal-00429604/en/.